Honor the sub brand of Huawei Launched another Mid-range Smartphone after launching budget smartphones like Honor 7X, Honor 9N. etc. 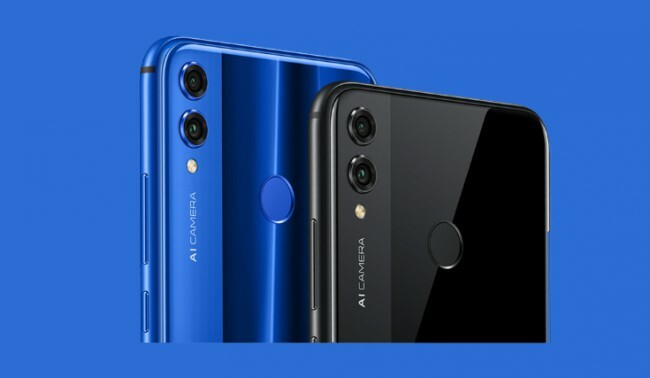 So Honor 8X got some Design characteristics from Honor Flagship Phones at first sight it looks great in Design— It has Glossy Glass back with two visual effects and at the front it has a Notch at the top of the Display. At the back it is clearly written that it has AI Cameras so we hope for good competitive Cameras. So, Lets start with the Display Honor 8X has 6.5 inch FullVeiw Borderless Display, it is an IPS LCD with a Resolution of 1080 x 2340 pixels((FHD+) and Aspect Ratio of 19.5:9, it has 396 ppi density. This Smartphone also has Eye Comfort Mode which reduces the blue light radiation to prevent eye fatigue. Honor 8X is Powered by Kirin 710 Chipset based on 12nm Technology, and it has Mali G51 GPU. Honor claims that GPU performance is improved by 130% and CPU Single-core performance by 75%. Here GPU & CPU are quite efficient and Powerful for the Mid-range Price point Honor 8X has Li-Po 3750 mAh Battery which can easily last for a full working day. This Smartphone has upto 6 GB of RAM and 128 GB of Storage, it has memory options like- 4GB RAM+64GB Storage and 6GB RAM+128GB Storage. This phone can be mid-range Storage house as it has Triple Card Slot which can have two Nano SIMs and one MicroSD Card up to 400 GB at the Same time. Honor is much talking about the Camera So lets get into this Honor 8X has Dual AI (20 MP f/1.8) + (2 MP for Depth Sensing). This Camera can Recognize different scenarios and accordingly it will set the lighting and stuff. You can also take night shots as it has machine based multi frame stabilization, Talking about the Selfie Camera it is a 16 MP shooter with f/2.0 Lens it can record video up to Both Cameras can Record video up to 1080p. Rear Camera can also shoot Videos in slow motion @480fps.